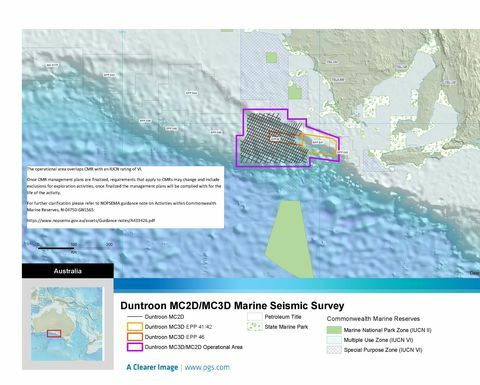 GEOPHYSICAL survey company PGS Australia has been granted approval, albeit with conditions, to acquire a multi-client 3D and 2D marine seismic survey across the controversial Great Australian Bight in southern Australia. The survey area is located 51km from Cape Carnot in the Eyre Peninsula, 80km southwest of Port Lincoln and 90km west of Kangaroo Island, covering petroleum exploration permits EPP-41, EPP-42, EPP-45 and EPP-46. 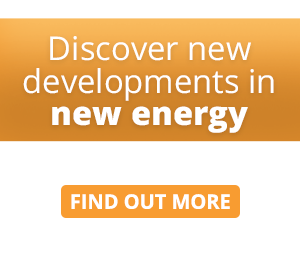 Seismic will be acquired across a 30,100 sq.km area in the Bight from September 1 to November 30 this year and again from September to November in 2020 should the surveys require more time to be completed. PGS first submitted the application for approval to the National Offshore Petroleum Safety and Environmental Management Authority in February 2017. "NOPSEMA has assessed the environment plan in accordance with its assessment policies and procedures. Having regard to all information provided by, and referred in the environment plan, NOPSEMA decided to accept the environment plan," NOPSEMA said. PGS was given the green light to conduct the seismic surveys subject to stringent conditions, which include a requirement that seismic acoustic array must not occur outside of September to November period. The September to November period eliminates the possibility of seismic interfering with the migration of the Southern Blue Fin Tuna. The company has also been required to engage an independent third party expert to undertake daily real-time monitoring of water temperatures and wind direction to identify any possible impact the surveying could have on the Pygmy Blue Whale's food sources and behaviours. Aerial surveys must also be conducted throughout the operational area by a "suitably qualified marine mammal expert" to identify marine life that may be affected by the seismic activities. NOPSEMA granted final approval on the condition that PGS publish reports detailing the company's compliance with the conditions of the license. Despite the stringent conditions placed on PGS, critics say the data acquisition will have "devastating" outcomes for South Australia. "This is a bad decision - bad for our marine life, bad for Kangaroo Island, and bad for South Australia… sending constant blasts into the water for three months straight will devastate our marine life," Greens senator Sarah Hanson-Young said. "The last time we had seismic blasting in the Great Australian Bight, whales beached themselves at Ardrossan and died." 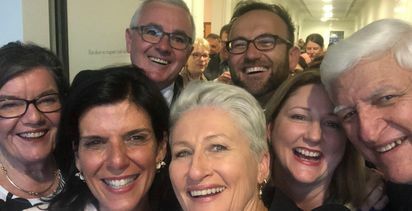 Hanson-Young's sentiment was echoed by environmental group The Wilderness Society, which said the seismic was pointless given previous attempts to drill in the Bight were abandoned due to the extreme conditions NOPSEMA required for approval. "It's just not possible to undertake any oil and gas exploration activities in the rough, pristine waters of the Great Australian Bight without having unacceptable impacts on this special marine environment," director Peter Owen said. "BP showed that drilling in the deep, rough waters of the Great Australian Bight was unviable when it could not produce an acceptable drilling plan for Australia's offshore oil and gas regulator. BP's decision shoed that it's too expensive to establish the costly risk-management and clean-up capacity needed to protect our communities from the enormous spill risks associate with drilling in the Bight." Since the announcement the fishing industry and environmentalists have subsequently renewed calls for a Senate inquiry into the impacts of seismic testing. Meanwhile federal member for Mayo and lower house Centre Alliance MP Rebekha Sharkie has introduced a bill into parliament to heritage list the entire Great Australian Bight in an effort to impose further restrictions and environmental protections across the region. 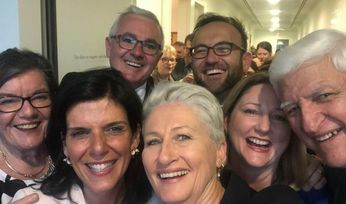 Sharkie tabled the Environment Protection and Biodiversity Conservation Amendment (Heritage Listing for the Bight) Bill 2018 in early December, telling her counterparts in parliament that the south coast of Australia "stood to lose too much from an oil drilling disaster." If the bill is passed and the Bight becomes listed as a World Heritage property, the National Offshore Petroleum Safety and Environmental Management Authority would no longer accept exploration applications. PGS must give the regulator 10 days' notice prior to commencing seismic acquisition.  As equally contentious is the CGG's seismic plans in the offshore Gippsland offshore basin in Victoria, which is still before NOPSEMA currently. 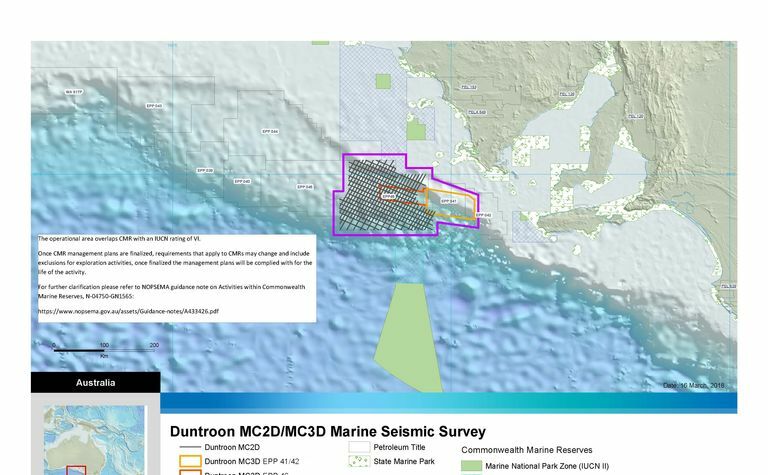 CGG are hoping to conduct 3D seismic across 13,037 sq.km off the coast of Victoria, in what is prime fishing grounds and is facing ongoing opposition from Nationals MPs, fishing companies and environmentalists.